A crucial Wales match which sees Ryan Giggs’ squad pitted against Trinidad and Tobago will be the focus of performance analysis by Wrexham Glyndwr University students. As part of their work with the university’s Centre of Performance Analysis, fourteen students studying on the Football and the Performance Specialist degree will be at the centre of the Welsh team’s preparation for the match this evening – with two students also working alongside the FAW Analysis team to provide live analysis throughout the game itself. Sara Hilton, Lecturer of Football and Coaching Science, said: “The students will be engaging in an exciting pre-match workshop during Wednesday morning with the FAW Head of Performance Analysis. “The workshop will take them directly to the heart of the preparations for the match, where they will be exploring the analysis of the opposition – in this case, Dennis Lawrence’s Trinidad and Tobago team. “The afternoon will see them using the information from the workshop and applying it to an oppositional analysis task and its link to tactical match preparation – this will then culminate in the live event itself where they will look to identify tactical patterns of play during the live match. “Two of our BSc Football Coaching and the Performance specialist students, Anthony Gomez and Andrew Parry, will be working as analysts throughout the game alongside the FAW Analysis team. “For the students to be involved in the first international game at the Racecourse for a decade is a real privilege – and it will really help equip our students with valuable applied experience. A spokesperson for the Football Association of Wales (FAW) added: “We are delighted that Wrexham Glyndwr University students will be partaking in a pre-match workshop with our Head of Performance Analysis. 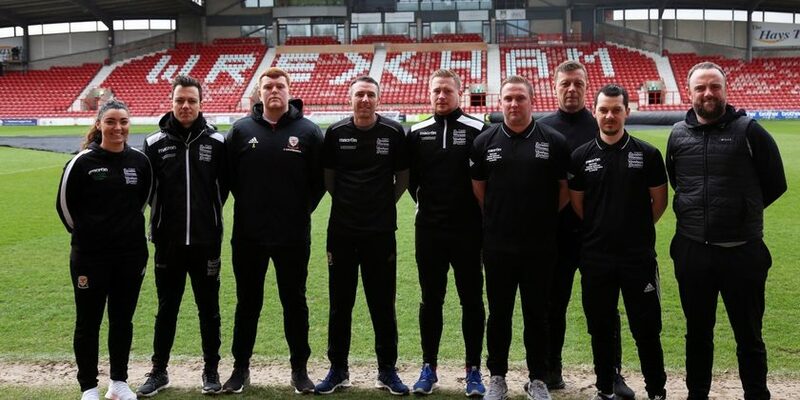 Find out more about Wrexham Glyndwr University’s BSc (Hons) Football Coaching and the Performance Specialist course here. Read 1,146,739 times in last 30 days. Read 1,146,739 times in last 30 days, and 73,922,741 times since we started in 2011.